Omiyage Blogs: It's a Button Party! Super excited to give you a little peek at something fun up our sleeves. 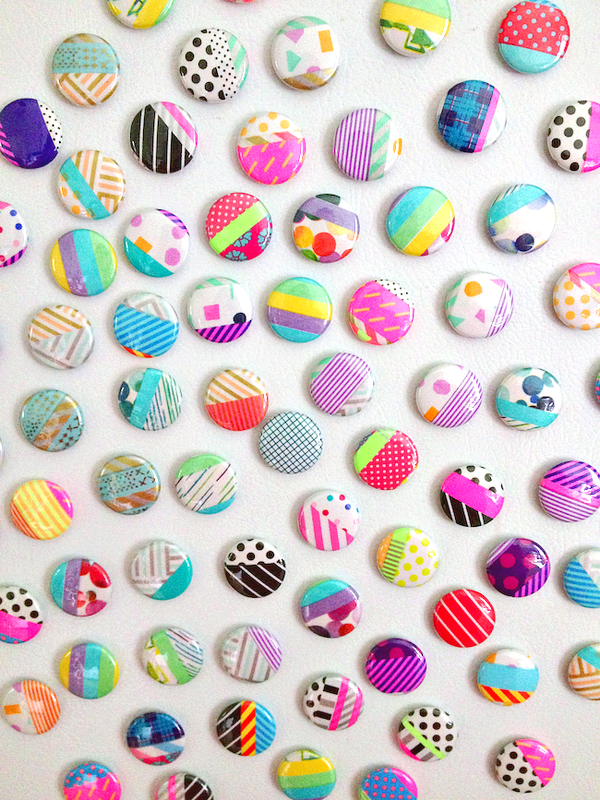 Washi tape buttons and magnets! How cute are these? Most of these are headed into our Birthday Surprise Packs but there will be some popping up in the shop soon. I can't even pick a favourite - I love them all!